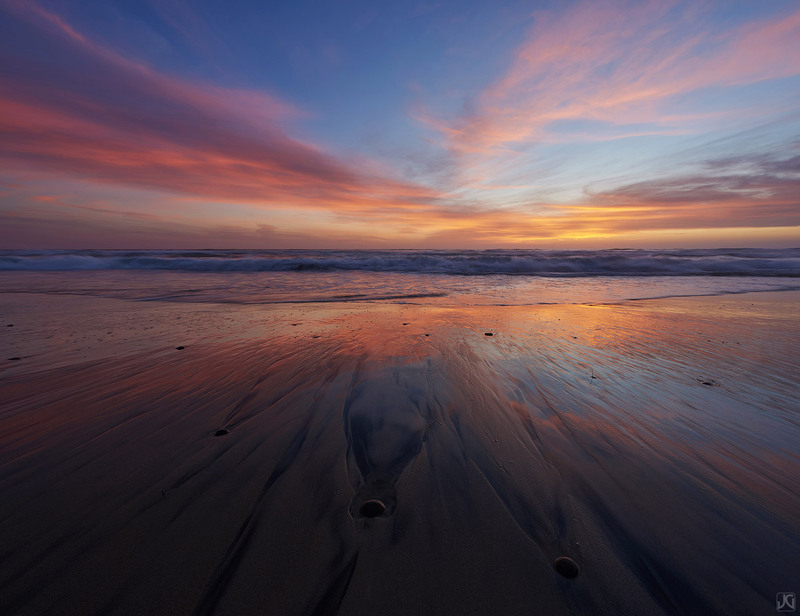 A colorful sunset is reflected in the sand along the beach of Del Mar. The interaction of the incoming tide and the rocks create some unique patterns and lines along the coast. Photo © copyright by Jimmy Gekas.